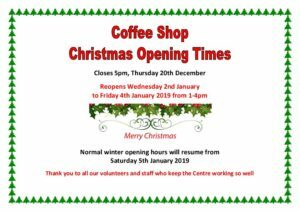 We are still looking for volunteers to help in the Coffee Shop. There was no volunteer available on Friday, 30 November so it didn’t open. We need help on Mondays, Thursdays and Fridays on a casual or regular basis. There’s no cooking involved apart from using the microwave, grill and toaster. Adult volunteers may work on their own for short periods of time but it’s usually with the support of the Centre Manager Monday to Friday. There are paid Supervisors in the Coffee Shop at the busiest times – weekends and school holidays. Do you have some spare time? Offers of help will be greatly appreciated. It doesn’t have to be for the whole afternoon, an hour or two is fine, it is all appreciated. Perhaps it’s an idea for your New Year’s resolutions! 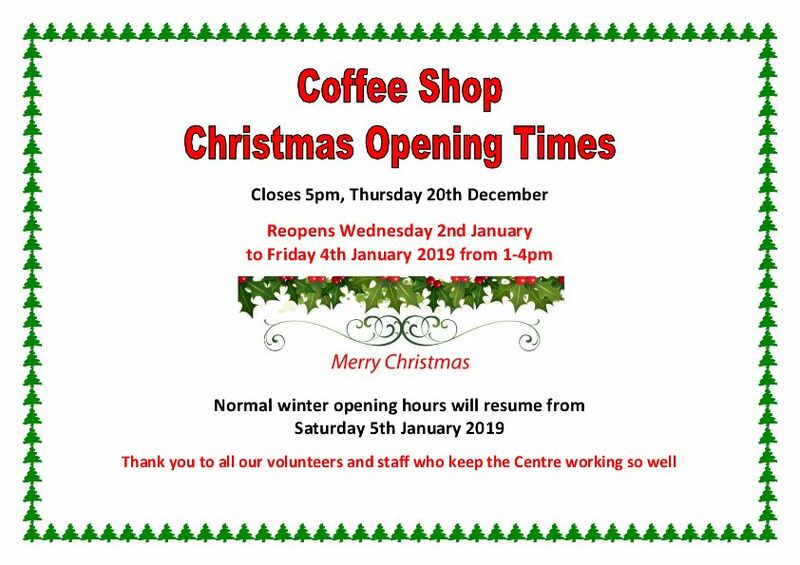 Talk to Coffee Shop supervisor Pauline on 01524 770682, or 07799 502199 or email coffeeshop@haltoncentre.org or pop into the Coffee Shop any weekend and discuss the role with the Weekend Supervisor.